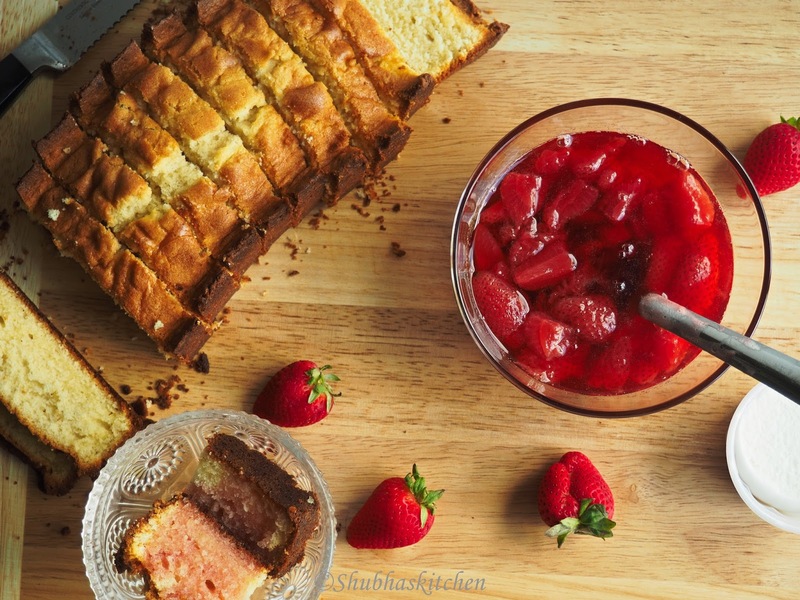 Strawberries are in season now and both my son Aditya and my hubby Manish looooooove strawberries (just the same as i looooooove mangoes:)) So for some reason I thought that last Sunday was the father's day and myself and Aditya decided to make a cake. 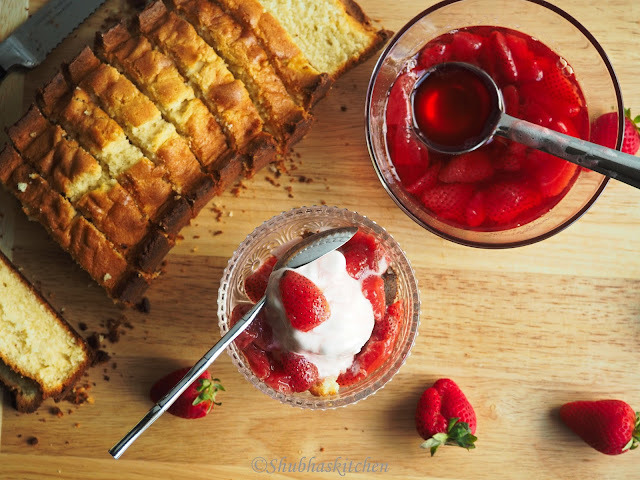 Strawberry shortcake happens to be Manish's favorite , so we decided to do that. I would make the cake and Aditya would help me put together the strawberry shortcake. When everything was ready, I realized that father'day was not that Sunday but is on the 19th of June:)). Anyways who needs an occassion to celebrate. ;-) The main purpose was to make Manish happy and that we sure did. We as a family loooove strawberries. So whenever strawberries are in season , you will most likely find atleast 3-4 strawberry boxes. We eat them as is for snacks or use them in smoothies. But my husband loves the strawberry shortcake. 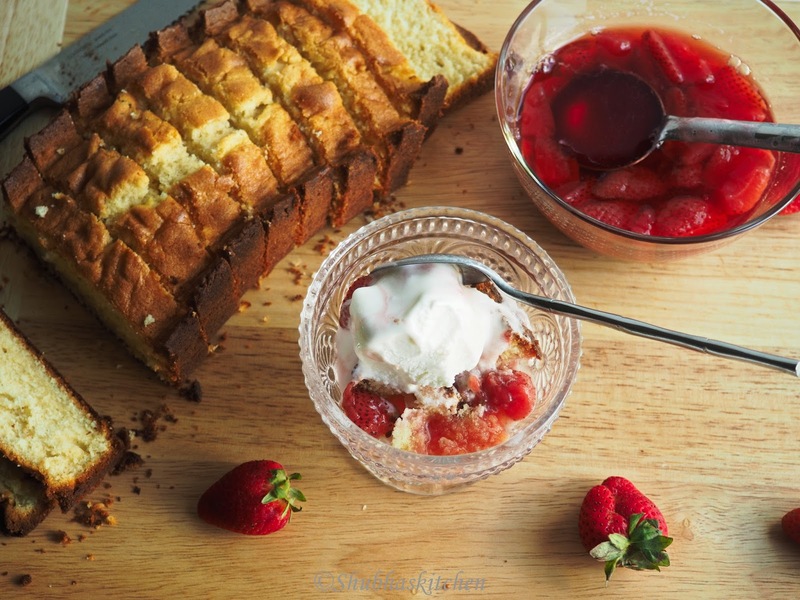 Its a great dessert option thats very easy to put together. 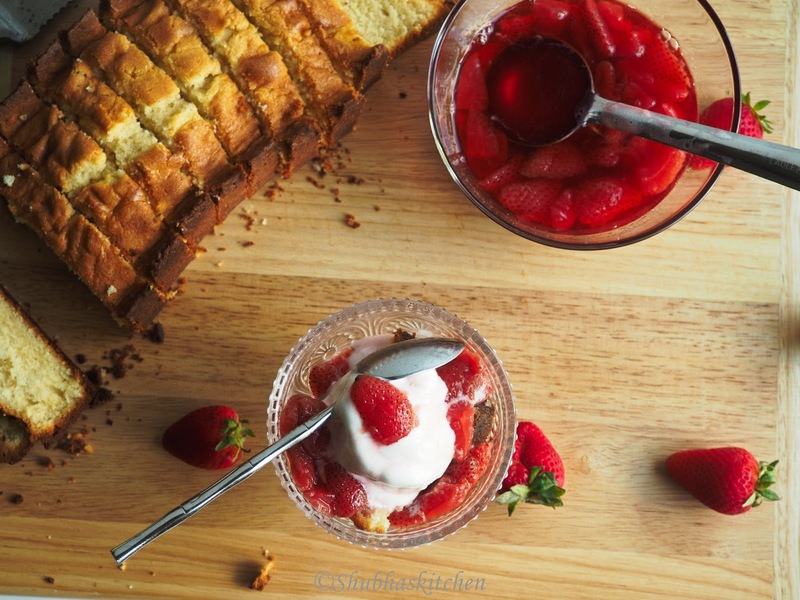 Strawberry shortcake means strawberry sauce over a shortcake which usually is a biscuit. The whole thing is then topped with some whipped cream typically flavored with sugar and vanilla. I do the strawberry shortcake in a different way. This recipe is adapted from the recipe my co- sister's recipe. As a base she uses the dessert cake cups/shells you get in the grocery store. Instead of that, I use a slice of pound cake as the base. Pour the strawberry sauce over the pound cake and top it with a scoop of vanilla ice cream and strawberry shortcake is ready. Its an easy recipe but very very delicious. 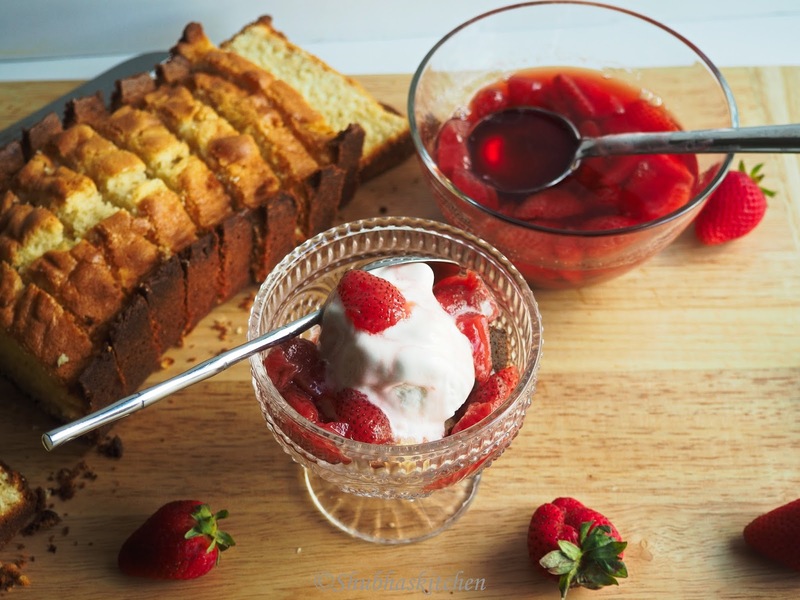 To prepare the shortcake, we need to prepare the strawberry sauce first. Heat water, strawberries and sugar. Once the mixture comes to a boil, reduce the heat and simmer for about 10 minutes. Turn off heat when the sauce is slightly thick. You can use this in strawberry shortcakes or just with vanilla ice cream. 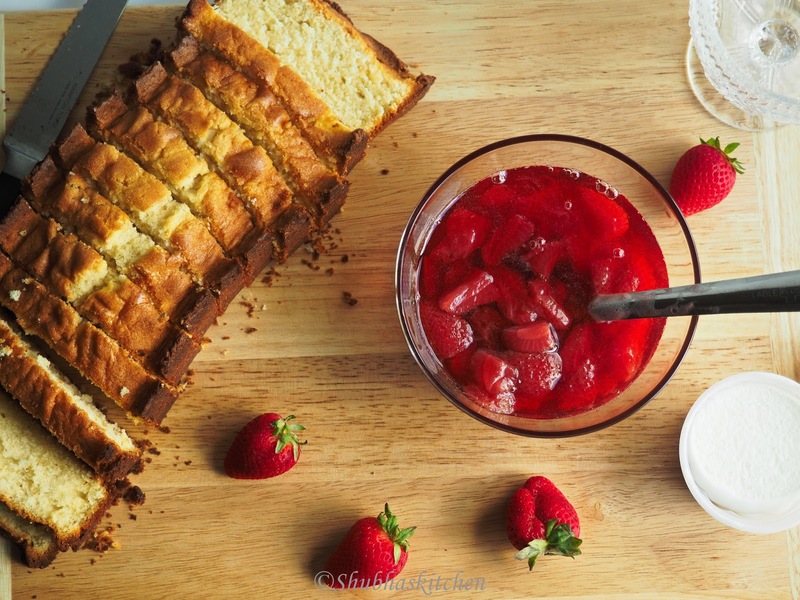 Place the slice of pound cake on a plate or bowl. Pour some more of the sauce. Instead of ice cream you can use whipped cream flavored with vanilla and sugar. Simply awesome. 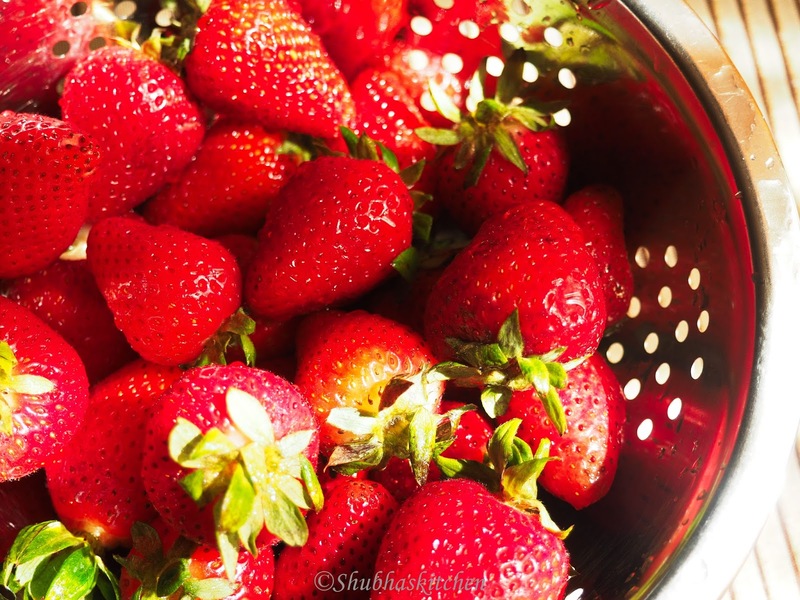 I love strawberries so much and when I read Shortcake, it made more interesting. When I get some fresh strawberries will try.